In Indonesia, Penny's drifting, partying, hanging out - a thousand miles away from claustrophobic Perth and her career-minded boyfriend. But things take a dangerous turn when she goes to work at Shane's Sumatran Oasis. Caught up in the hostility directed at Shane, and flirting and surfing with the hell-man Matt, Penny soon finds herself swept into a world where two very different cultures collide. 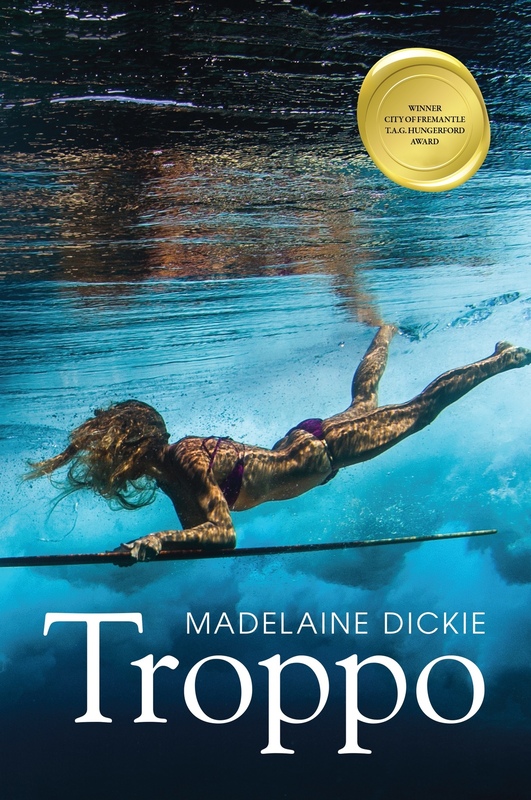 Madelaine received a Prime Minister’s Asia Australia Endeavour Award (undergraduate) to craft her debut novel Troppo over the course of a year in West Java. She worked with lecturers from Universitas Islam Bandung and Universitas Padjadjaran to ensure elements of the book were culturally sound. Troppo won the 2014 City of Fremantle T.A.G Hungerford Award and was published by Fremantle Press in 2016. In 2018, it was shortlisted for the Dobbie Literary Award and the Barbara Jefferis Award.